Russians have been visiting Dubai for several decades for business and pleasure. Today the the Middle Eastern city has a sizable Russian population and several businesses have popped up to cater to their needs. 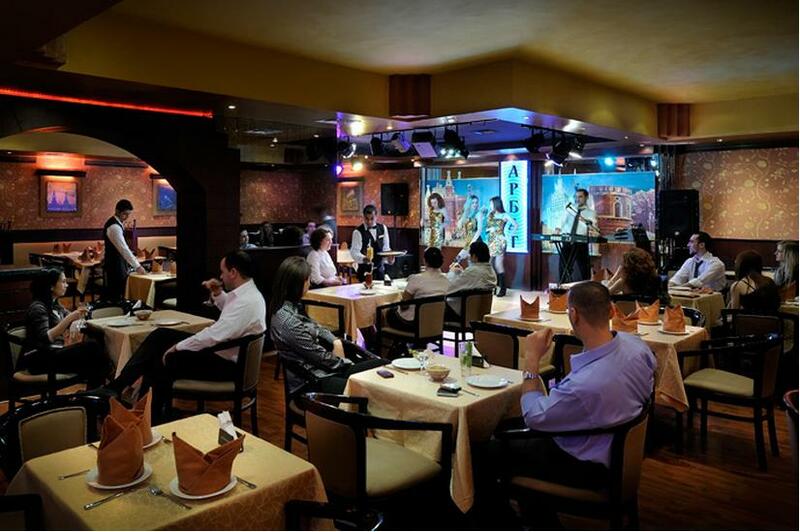 One such venue is the Arbat Russian club at the Carton Hotel in Deira. The nightclub is well known among Russian expatriates for its genuine Russian cooking, great drinks and live entertainment. Arbat is designed to resemble a Moscow country pub complete with traditional furniture and decor. The nightclub also employs a Russian band that knows almost every popular Russian song; from folk music to current hits. Once the hearty food and drinks are enjoyed, guests are most likely to hop onto the dance floor and burn away some calories. The lively atmosphere of Arbat is only one of its many charms. Russian guests that are missing their homeland will have a great time at the venue as they eat and drink to the tunes of Russian music. - The food at Arbat is amazing and very traditional. The expert cooks in the kitchen of the venue work hard to recreate dishes that are very unique to Russia so the guests walk out pleased with the experience. - The drinks and bar are top notch and guests can expect to find almost every type of drink that is regularly served in Dubai night spots. However, an interesting addition is that many Russian vodkas are available for people, which make them feel like they are partying in Moscow. - There is a small stage setup at Arbat that showcases amazing Russian singers that perform live sets for the audience. The intimate setting allows visitors to get the full effect of the music and really have a good time. Baniyas Square Metro Station is the best option for travelers that want to use the train to reach Arbat. After leaving the platform head south on 27th Street and then make a left onto Al Makthoum Road. Make a left onto 11th Street and a quick left again on Baniyas Road. View Map. Travelers can use the Deira, Beniyas Road 1 bus stop to reach Carlton Tower Hotel easily. Bus route numbers 27, 31, 53, C7, C9 and C28 can be used to get there. After getting off the bus, head southeast on Baniyas Road and you will find the venue on the left. View Map.